Me: I just finished this book. Want to give it a go? 11-year-old boy: What’s it about? 11-year-old boy: Nah, I’m not into girl’s books. Okay. I was seconds away from enticing him with Mortie, a nine year old cousin in the story who supplies comic relief. But this is really Emily’s story and one that girls, their teachers and parents would love. I’ll keep working on that 11-13 male demographic, but I’m afraid this one may not be for them – at least not at this point in their lives. FULL PLOT (From Amazon): Eleven-year-old Emily Elizabeth Davis has been told for her entire life that her destiny is to become a poet, just like her famous namesake, Emily Dickinson. But Emily doesn’t even really like poetry, and she has a secret career ambition that she suspects her English-professor mother will frown on. Then, just after discovering that it contains an important family secret, she loses the special volume of Emily Dickinson’s poetry that was given to her at birth. As Emily and her friends search for the lost book in used bookstores and thrift shops all across town, Emily’s understanding of destiny begins to unravel and then rewrite itself in a marvelous new way. I like that rules were broken by the author. Rules that beginning authors have to follow, but once you’re published the reigns are loosened a bit. The first broken rule is the beginning of the story. As writer’s struggle to come up with that eye popping beginning or the perfect action paragraph to grab hold of readers, you won’t find that here. It’s a slow, well crafted, and drawn out beginning that doesn’t start running away with your attachment until 60 -70 pages in. Stay with it and you will be rewarded with Emily’s search for her destiny. Emily’s letters to author, Danielle Steele. Most middle aged readers will not have any idea that Steele is a real author of romance novels. No problem – It’s what Emily says in those letters that bring hope to her world. Reading about a kid who is successful at stepping out of her comfort zone. Great message for kids … and maybe a few adults. I enjoyed the individuality of the secondary characters. The English professor mom; Cousin Mortie – obsessed with all thing military; and Emily’s best friends’ Wavey – the researcher, and Cecily Ann – the real poet. Some rich discussion could take place with others who have read the book. Is there destiny for everyone and can you change what has already been decided? We stood in front of the book table while I whispered an emergency Hail Mary and Mom squeezed my hand, her breath floating out like someone who’d just made the tiniest of wishes on a cluster of birthday candles that they knew would never come true. 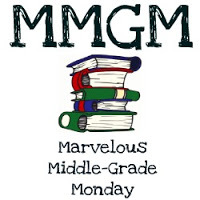 This entry was posted in Reviews and tagged Destiny Rewritten, Juvenile fiction first person, Kathryn Fitzmaurice, Middle grade, Middle Grade Book Reviews. Bookmark the permalink. All of Kathryn Fitzmaurice’s books are terrific. I love this one. Thanks for reminding me of it. Maybe I’ll do a little re-reading. I loved The Year the Swallows Came Early and A Diamond in the Desert, but this is still on my TBR list. I’ve heard so many great things about it. Glad to know you recommend it. I love that you mention where you think this book’s proper place to be read would be. A read-a-loud or bedtime sounds wonderful! Thanks so much for sharing this one and for stopping by Writer’s Alley. I’m not sure how I’ve missed your site, but I’m following you now. Here’s to catching up! I’ve never heard of this book. I like the part about a family secret. Everyone likes a little mystery, especially if it’s in your family. I loved this book! It was one of my favorites last year. I love Kathryn Fitzmaurice and this is my favorite book of hers! I always like reading letters within novel. Thanks for sharing. I loved this! It was a highlight of my 2013 middle grade reads! It’s one of those reads that stays with you long after you’ve finished the book.